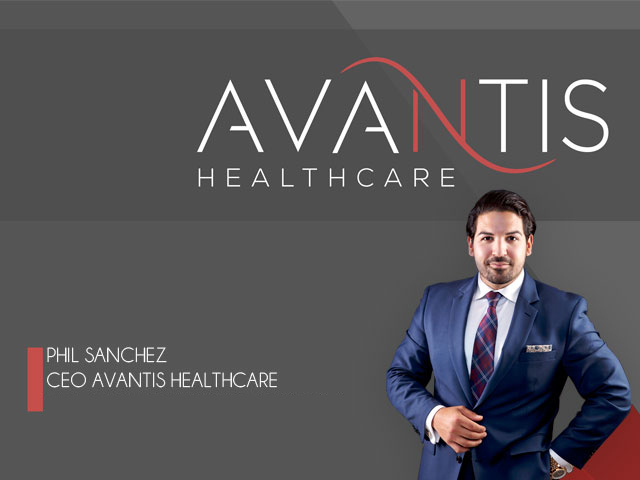 Avantis Healthcare was founded in 2012 with a specific but challenging mission: to develop healthcare ancillaries and practices that would empower providers revenue streams while providing the best in patient services. At the time I founded the company, I was struck by the lack of options for these types of services. Over the past 3 years, there has been impressive progress in providing ancillary options for physicians’ practices to improve the quality of patient services. We, at Avantis Healthcare, are proud of our contributions to this progress; particularly the innovations of creating multiple ancillaries that provide pharmaceuticals, diagnostics, labs, surgical facilities and much more. During our first years, Avantis Healthcare operated as a “virtual” company, which comprised of a geographically diverse network of academics, healthcare professionals, patient advocacy groups and business people. Although the company has matured and many of our employees are based at our headquarters in The Woodlands, Texas, we’ve remained true to our origins as a collaborative enterprise — both within the company and with external partners with whom we share a sense of mission. This unusually high level of teamwork has contributed substantially to our ability to innovate successfully, from product identification, ancillary and practice development. As you browse through AvantisCare.com and learn more about our company, the Avantis Healthcare team is working to bring important new products and services for physicians, I hope what stands out is our sense of commitment to medical innovation and patient benefits, which is as strong today as it was in 2012, when we started with one employee and a vision.